Some steep ascents and descents thru some spectacular valleys. 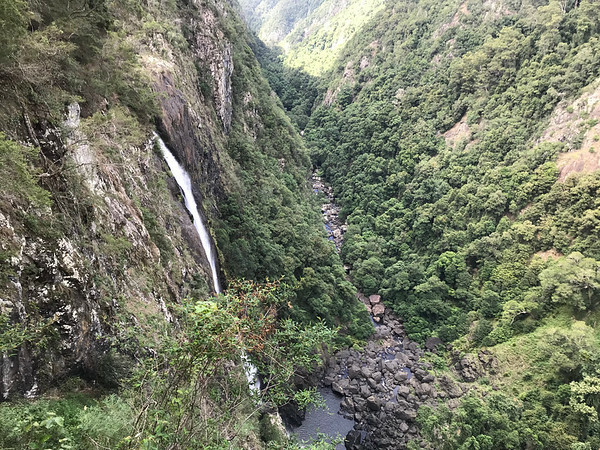 Ellenborough Falls, Bulga Plateau, 160 metre drop. Beautiful! Last edited by Digger on Thu Apr 11, 2019 6:40 pm, edited 1 time in total. I ended up in a flower bed this morning. Some b**** ran me off the road on a roundabout as I was leaving town. Because she didn’t kill me she said “oh well” and took off. Cow. The ‘difficult option’ never eventuated today. The Organisers got cold feet and decided not to go ahead with that track. Now I’ll never know. Maybe that is a good thing. Last day tomorrow (Friday). Historically, that is the day that most Riders hurt themselves. Must have something to do with testosterone and having a big finish. 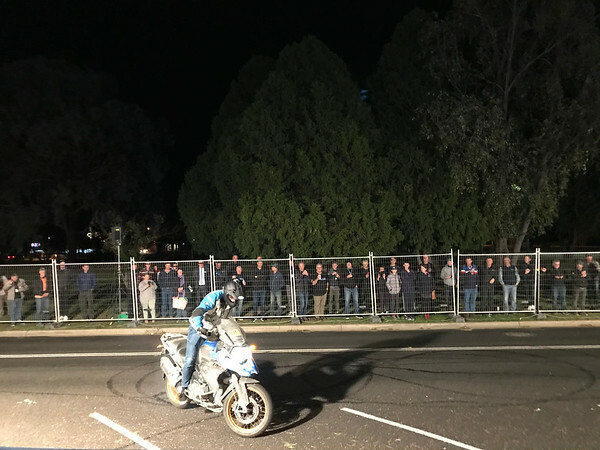 We are in the town of Armidale tonight (Thursday) and they pride themselves on being a motorcycle friendly town. They put on a bit of a show for us tonight (entertainment and free feed) and made it open to the public. Nice gesture. The day started by having to catch the Settlement Point Ferry out of Port Macquarie. Short delay. Last edited by Digger on Thu Apr 11, 2019 6:41 pm, edited 1 time in total. It took several trips to get all 250 Riders across. wifi’s a bit slow...gotta upload one at a time. The public space at Armidale for the evenings entertainment. First time that’s happened on a Safari (for me). 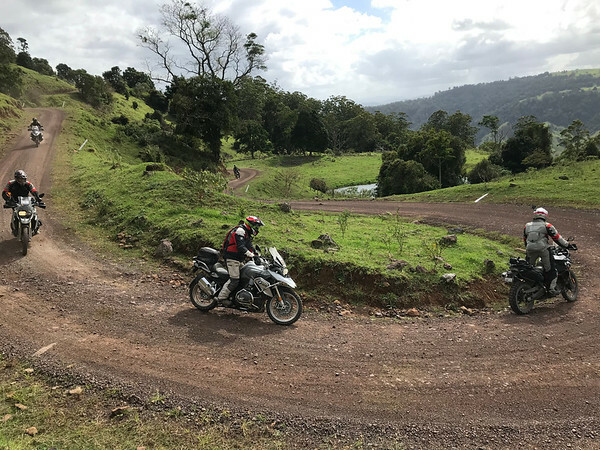 We have one of Australia’s leading stunt riders on the Safari. He put on a show for us and the locals. The bike will probably end up on a Dealers Showroom and advertised as a ‘Demonstrator’. The photo doesn’t do it justice. I wouldn’t want to buy the bike afterwards. Safari update- day 5 - final day. We broke another bone today...not mine. A woman rider who stalled at an obstacle and if you stall; you fall. When a 200kg bike falls on you something has to give. In this case it caused a broken ankle. 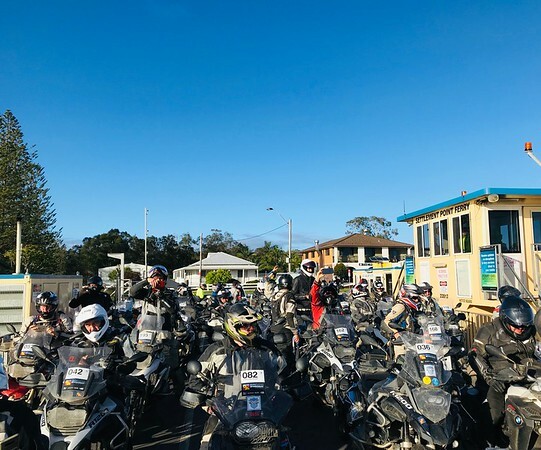 The rider was heart broken because she was 100km from finishing the Safari. Farewell dinner tonight with a lot of back slapping and high fives. Most of the riders will be home by Saturday night. 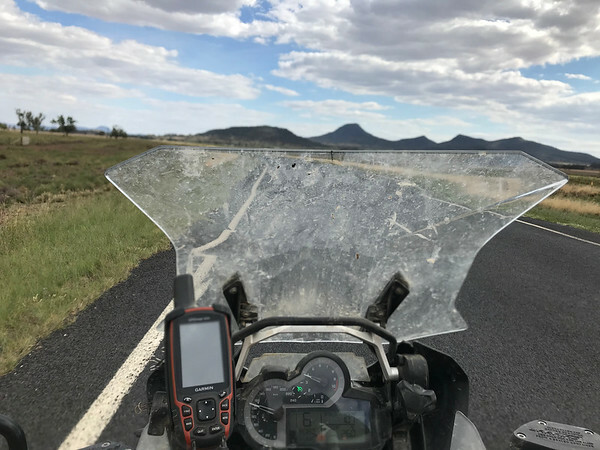 I have a five day ride ahead of me back to Perth, load the 4WD, and then head off on a 10 day trip with the Club for Easter and ANZAC Day long weekend. 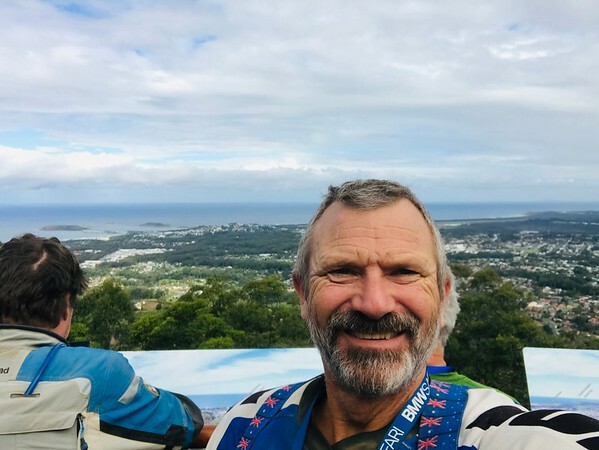 Coming off the mountain heading for the coast to Coffs Harbour. 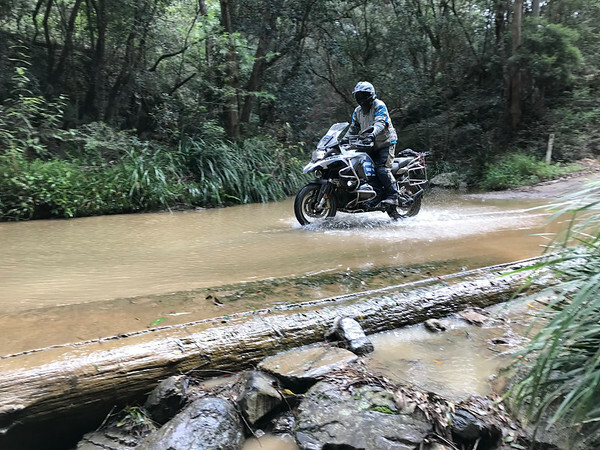 Not many water crossings on the Safari. Just as well maybe. After winter rains the routes would have been completely different. Me...with the Pacific Ocean (?) in the background (Bozo, chime in here). The finish line must be close. 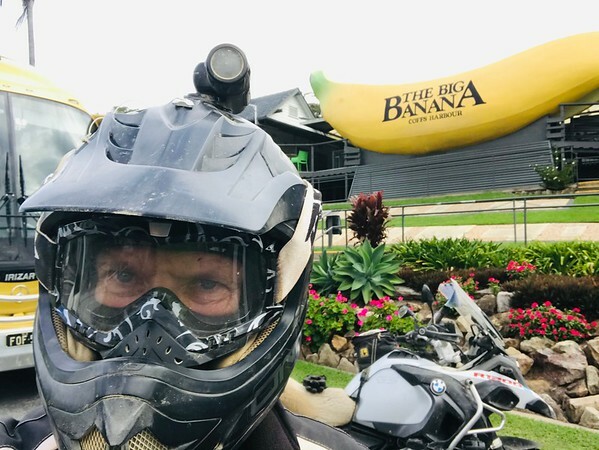 The Big Banana at Coffs Harbour. Proof that I was there. Hotel for the last night on Safari. It’s a tough gig. I’ll be back in the tent for the next four nights. The participants. Mostly middle aged, cashed up, overweight, balding men with small penises who are trying to relive their youth. I’m not one of them (I’m not balding). 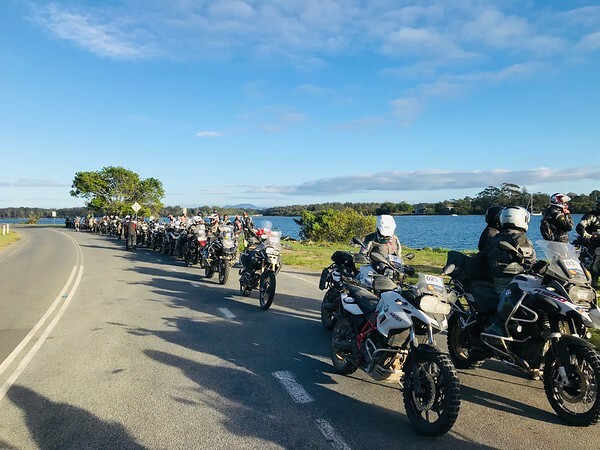 The next BMW GS Safari Enduro is to be held in the last week in August....Mildura to Alice Springs. I won’t be there...I’ve already got other stuff booked. Go on....you know you want to. Thanks for ringing my bell. 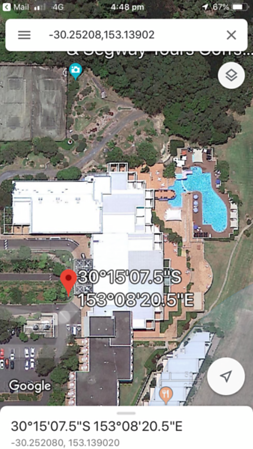 You know that the description of the water body adjoining Coffs Harbour is a complex question. It is the Pacific Ocean but strictly it is the South Pacific Ocean being south of the equator. The water body is also called the Tasman Sea which starts just north of Coffs Harbour and stretches well south and across to New Zealand. 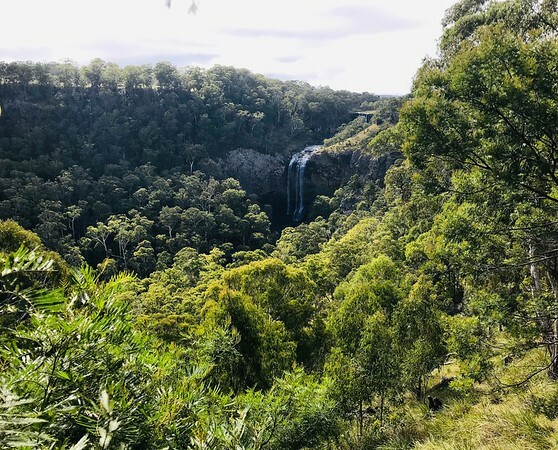 Included in your photo is a part of the Solitary Island Marine Park that starts at Coffs Harbour and runs north encompassing Diggers Beach. I would have called it the Tasman Sea. And that, my friend, is why I pass the difficult questions over to you. That way, I don’t lose what little credability I have left. 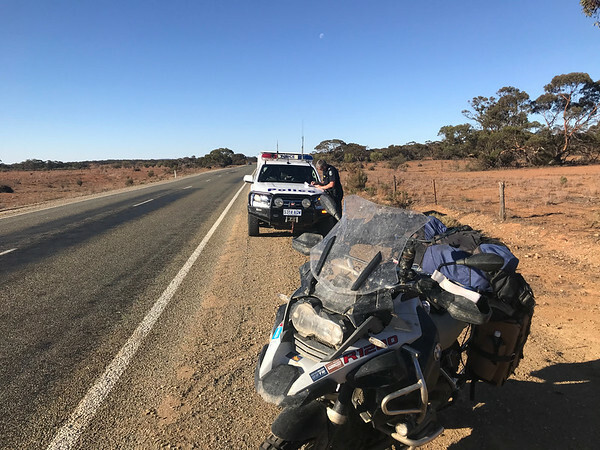 Heading westbound for home...currently in central NSW and will be on the other side of Broken Hill and into SA by Sunday evening if things go according to plan. The view from my office window today. The windows need cleaning. Look mum; no hands. I love cruise control. Great progress. Steaming along. Peterborough is a brilliant little town with a OK café in an old theatre and an interesting motorcycle museum. Yeah, but there’s a catch hahaha. Another BIG day in the saddle today...950km from Warren in NSW to Peterborough in SA. 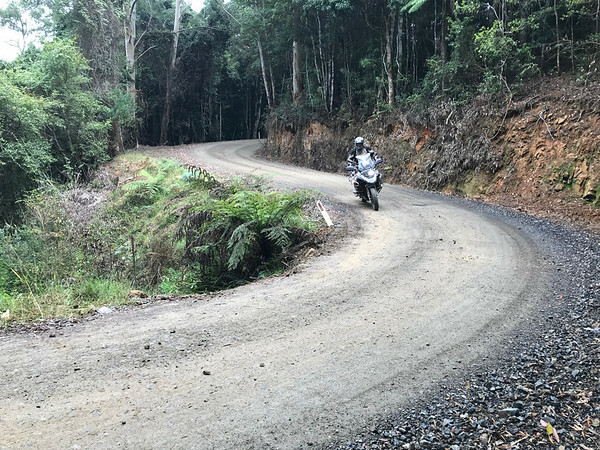 I still have about 28 hours of riding ahead of me to get home. Do the crime, do the time. 122kph rounded down to 120kph in a 110 zone. $440 fine. Let off with a caution. WINNER, WINNER.